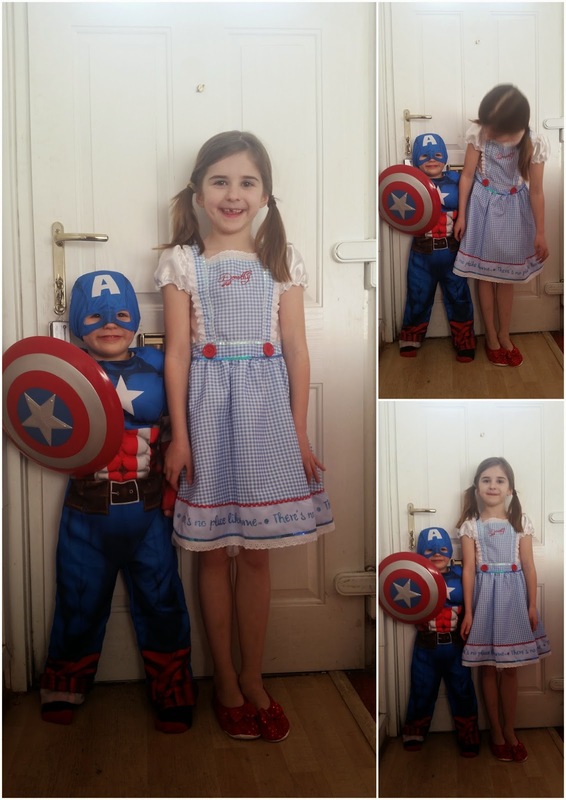 We love dressing up here in the Mummy Of 3 Diaries household so World Book Day is always a fun one to take part in. Sadly for us, our school decided not to take part this year so we dressed up at home and had fun here instead. I wasn't going to let them miss out on their favourite dressing up day of the year now was I ... No way. George from Asda have a wide range of Fancy Dress costumes available all year round. There's costumes for babies, toddlers, big kids and even grown ups. There really is something for everyone. This year I let my youngest two pick their own costumes and I have to admit, I was a little surprised by their choices. They didn't pick what I thought they would have. In fact they chose completely different costumes this year. 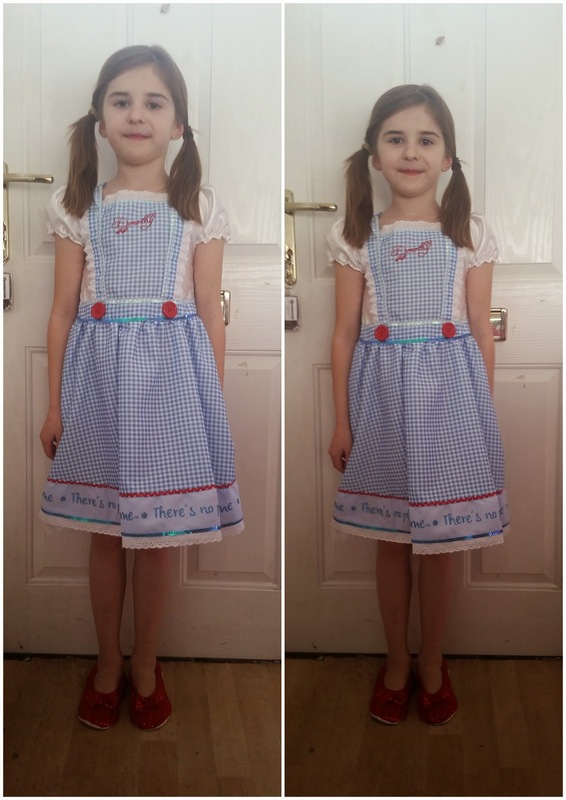 Lily who's now 7 normally goes for a 'bigger is better' style Princess dress but this year she wanted to be Dorothy from the Wizard of Oz. The Wizard of Oz Dorothy fancy dress costume is a very pretty but simple dress which comes complete with sequin and bow detailed red slippers. From the moment it arrived, Lily was in love with it. It costs just £12.50 which is a great price for this dress and slippers set. The price may be cheap but the quality of this costume is definitely not. The dress feels really nice and the detailing is delightful. 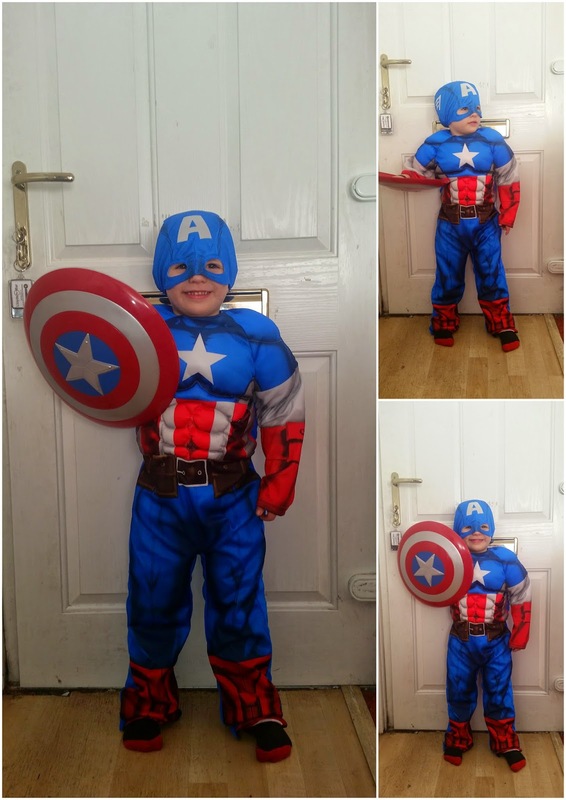 My little man Ryan went for a Captain America costume which is also a first for him. He'd normally pick a Pirates or Animal type costume so this one made for a nice change. This cool Captain America fancy dress costume comprises of a padded all-in-one suit, a face mask and every hero’s must-have – the shield. Ryan loved this costume, although I do kinda get the feeling that the shield is his favourite part. He hasn't put it down since it arrived. Again this one only costs £12.50 which I think is fantastic value for money. Both my children were delighted with their costumes from George. 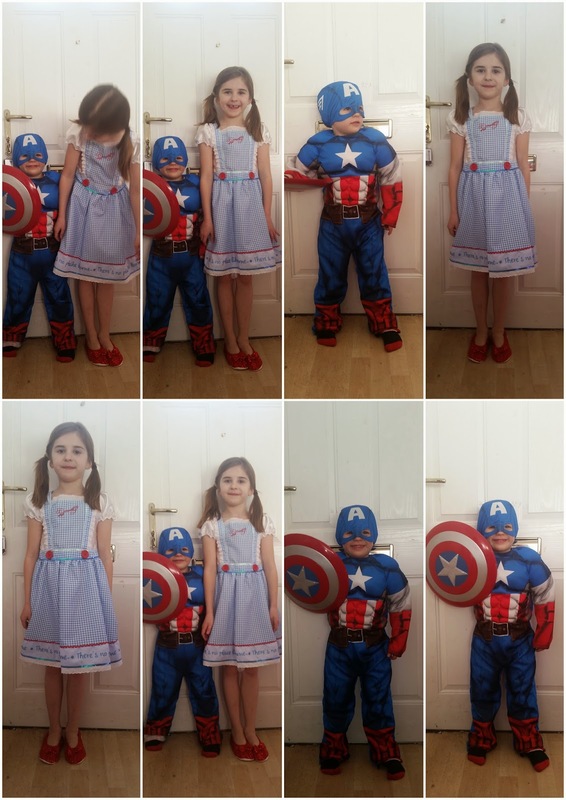 Costumes in our house are not just for World Book Day but for every day. I'm really pleased with the quality of these costumes, the prices are really great too. They got a firm thumbs up from all of us. I definitely know where I will be shopping next time we need some new costumes. Disclosure: I received costume samples in return for an honest review. All the opinions expressed are 100% honest and all my own. Aww! How adorable are they! !